TBW 60%—measured by D20,HEAVY WATER.It is ECF PLUS ICF. ICF (40%)—Measured by TBW minus ECF.It cannot be measured directly just like interstitial fluid. ECF=Interstitial Fluid(15%) Plus Plasma Volume(5%). Interstitial Fluid is measured by ECF minus Plasma Volume.It cannot be measured directly just like intracellular fluid. Plasma Volume(3.5 liters ;5% of body weight) can be measured using dyes Evans Blue(T-1824).It can also be measured by serum albumin labeled with radioactive iodine. 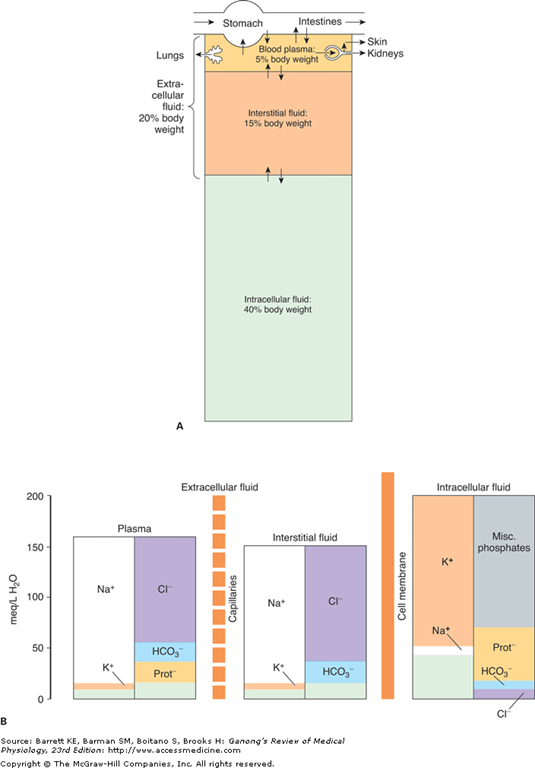 In short TBW(D20,Titanium oxide and aminopyrine),ECF(INULIN,MANNITOL,SUCROSE),PLASMA(T-1824,ALBUMIN) can be measured directly by bracketed methods while Intracellular fluid(TBW-ECF)and interstitial fluid(ECF –PLASMA) can be derived from them indirectly by subtraction methods. TBW= 40-45 LITRES;60% of body weight; (Intracellular Fluid=28.8Litres Plus Interstitial Fluid =10.5 Liters Plus Blood plasma=3.5 Liters) where ECF(interstitial plus blood plasma) is 14 L or another name is sucrose space in a 70 KG MAN. Total Blood volume = 3500 Multiply 100/100-38 where 38 is hematocrit.Hematocrit is percentage of blood volume that is made up of red blood cells..So Total blood volume equals 5645 ml.In other words TTAL is about 8% of body weight in which 5% part is plasma volume and 3 % is red cell volume. The water content of lean body tissue is constant at 71-72 ml/100g of tissue. Note:- Red cell volume can be determined by subtracting the plasma volume from the total blood volume..Total blood volume was determined by plasma volume and hematocrit.A commonly used tag is 15Cr,a radioactive isotope of chromium that is attached to the cells by incubating them in a suitable chromium solutions.Isotopes of iron and phosphorus and antigenic tagging have also been employed. Heavy water (D20) or Deuterium Oxide is most frequently used for measuring the TBW.Titanium oxide and aminopyrine have also been used for this purpose. Solvent Drag:- When solvent is moving along one direction,it tends to drag along some molecules of solute. Veins are also called “capacitance vessels” because most of the blood volume (60%) is contained within veins.the splanchnic circulation contains about 25—30% of the total blood volume. Osmolarity is the number of osmoles per litre of the solution. Osmolality is the number of osmoles per kg of the solvent. Therefore, osmolarity is affected by the volume of the various solutes in the solution and the temperature, while the osmolality is not. Osmotically active substances in the body are dissolved in water, and the density of water is 1, so osmolal concentrations can be expressed as osmoles per liter (Osm/L) of water. In this book, osmolal (rather than osmolar) concentrations are considered, and osmolality is expressed in milliosmoles per liter (of water). Note that although a homogeneous solution contains osmotically active particles and can be said to have an osmotic pressure, it can exert an osmotic pressure only when it is in contact with another solution across a membrane permeable to the solvent but not to the solute. If a solute is a nonionizing compound such as glucose, the osmotic pressure is a function of the number of glucose molecules present. If the solute ionizes and forms an ideal solution, each ion is an osmotically active particle. For example, NaCl would dissociate into Na+ and Cl– ions, so that each mole in solution would supply 2 Osm. One mole of Na2SO4 would dissociate into Na+, Na+, and SO42– supplying 3 Osm.. It is important to note the relative contributions of the various plasma components to the total osmolal concentration of plasma. All but about 20 of the 290 mOsm in each liter of normal plasma are contributed by Na+ and its accompanying anions, principally Cl– and HCO3–. Other cations and anions make a relatively small contribution. Although the concentration of the plasma proteins is large when expressed in grams per liter, they normally contribute less than 2 mOsm/L because of their very high molecular weights. The major nonelectrolytes of plasma are glucose and urea, which in the steady state are in equilibrium with cells. Their contributions to osmolality are normally about 5 mOsm/L each but can become quite large in hyperglycemia or uremia. that is, more osmotically active particles are on side X than on side Y. This is the Gibbs–Donnan equation. It holds for any pair of cations and anions of the same valence. The Donnan effect on the distribution of ions has three effects in the body introduced here and discussed below. First, because of charged proteins (Prot–) in cells, there are more osmotically active particles in cells than in interstitial fluid, and because animal cells have flexible walls, osmosis would make them swell and eventually rupture if it were not for Na, K ATPase pumping ions back out of cells. Thus, normal cell volume and pressure depend on Na, K ATPase. Second, because at equilibrium the distribution of permeant ions across the membrane (m in the example used here) is asymmetric, an electrical difference exists across the membrane whose magnitude can be determined by the Nernst equation. In the example used here, side X will be negative relative to side Y. The charges line up along the membrane, with the concentration gradient for Cl– exactly balanced by the oppositely directed electrical gradient, and the same holds true for K+. Third, because there are more proteins in plasma than in interstitial fluid, there is a Donnan effect on ion movement across the capillary wall. Table 1–1 Concentration of Some Ions Inside and Outside Mammalian Spinal Motor Neurons. aA and B fibers are myelinated; C fibers are unmyelinated. Table 4–3 Relative Susceptibility of Mammalian A, B, and C Nerve Fibers to Conduction Block Produced by Various Agents. 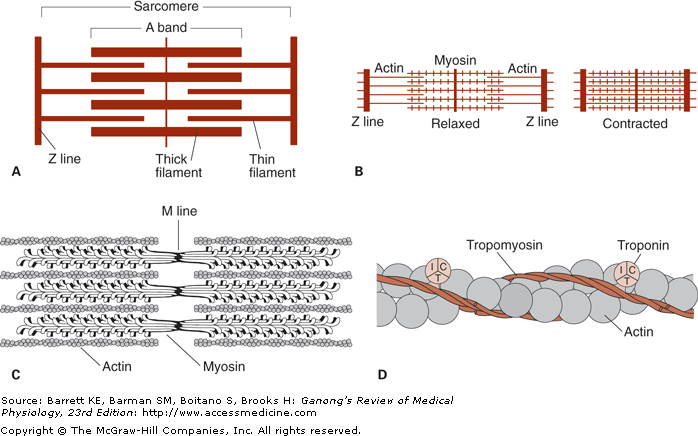 A) Arrangement of thin (actin) and thick (myosin) filaments in skeletal muscle (compare to Figure 5–2). B) Sliding of actin on myosin during contraction so that Z lines move closer together. C) Detail of relation of myosin to actin in an individual sarcomere, the functional unit of the muscle. D) Diagrammatic representation of the arrangement of actin, tropomyosin, and troponin of the thin filaments in relation to a myosin thick filament. The globular heads of myosin interact with the thin filaments to create the contraction. Note that myosin thick filaments reverse polarity at the M line in the middle of the sarcomere, allowing for contraction. 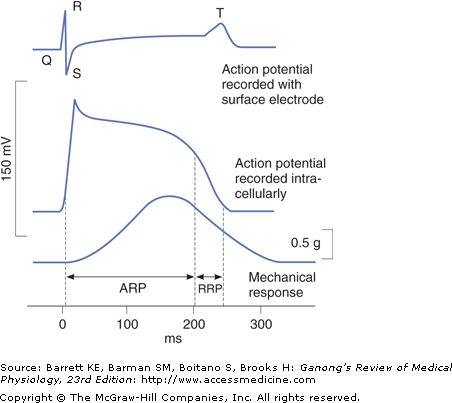 During phases 0 to 2 and about half of phase 3 (until the membrane potential reaches approximately –50 mV during repolarization), cardiac muscle cannot be excited again; that is, it is in its absolute refractory period. It remains relatively refractory until phase 4. Therefore, tetanus of the type seen in skeletal muscle cannot occur. Of course, tetanization of cardiac muscle for any length of time would have lethal consequences, and in this sense, the fact that cardiac muscle cannot be tetanized is a safety feature. Cardiac muscle is a collection of individual cells (cardiomyocytes) that are linked as a syncytium by gap junctional communication. Smooth muscle cells are largely under control of the autonomic nervous system. There are two broad categories of smooth muscle cells: unitary and multiunit. Unitary smooth muscle contraction is synchronized by gap junctional communication to coordinate contraction among many cells. Multiunit smooth muscle contraction is coordinated by motor units, functionally similar to skeletal muscle. EEG records showing the alpha and beta rhythms. When attention is focused on something, the 8–13 Hz alpha rhythm is replaced by an irregular 13–30 Hz low-voltage activity, the beta rhythm.EEG records showing the alpha and beta rhythms. When attention is focused on something, the 8–13 Hz alpha rhythm is replaced by an irregular 13–30 Hz low-voltage activity, the beta rhythm. 1.A person falling asleep first enters stage 1, the EEG begins to show a low-voltage, mixed frequency pattern. A theta rhythm (4–7 Hz) can be seen at this early stage of slow-wave sleep. Throughout NREM sleep, there is some activity of skeletal muscle but no eye movements occur. 2.Stage 2 is marked by the appearance of sinusoidal waves called sleep spindles (12–14 Hz) and occasional high voltage biphasic waves called K complexes. 3.In stage 3, a high-amplitude delta rhythm (0.5–4 Hz) dominates the EEG waves. This entry was posted on February 14, 2011 at 7:41 am	and is filed under Medical. Tagged: AIPGMEE MCQs, All india MD/MS entrance exams MCQs, All india MD/MS exams MCQs, Ganong MCQs, Medical MCQs, Multiple choice questions, pg mcqs, PGMEE MCQs, Physiology MCQs. You can follow any responses to this entry through the RSS 2.0 feed. You can leave a response, or trackback from your own site. In the question from Karn PGMEE it’s asking for ECF not TBW. ECF should be 14-15 L right? TBW would be 60% of 70 kg = 42 L.
Let me know. 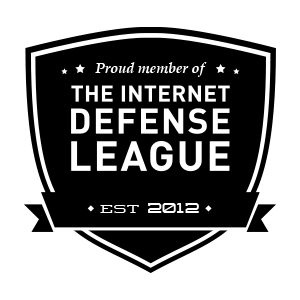 Good job with the blog. Maybe we can share notes? I have made tons of them. You can share notes..Send via mail to drkamaldeeps@yahoo.com. I will upload it here if they are original. I just including the worthwhile details people supply in your articles or blog posts. Let me take a note of your web site plus test just as before below often. We’re slightly specific I’ll be educated numerous innovative goods proper below! Enjoy for one more!